Ready to make more friends, feel more confident, and build the social life you've always wanted? Everything you need is right here. Dive in! 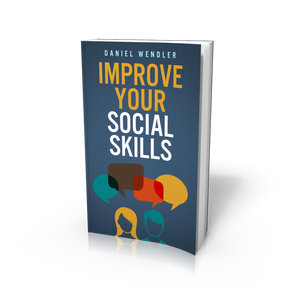 Improve Your Social Skills is a comprehensive guide to social skills. It explains topics like conversation and body language in practical, easy-to-apply lessons. Think of it like an owner's manual for your social life. I wrote it to share the discoveries that helped me overcome to social challenges of Asperger's Syndrome. See, when I was growing up I was the most awkward kid you could ever hope to meet. 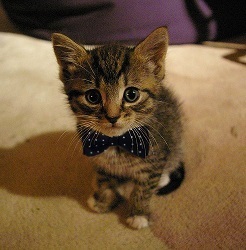 But one day, I decided to study social skills deliberately, like you might study a foreign language. I looked for patterns that might explain the way people behaved, techniques I could use to connect with others, and metaphors I could use to make sense of it all. I poured thousands of hours into study, observation, and practice. And it paid off. I learned how to connect with others, and started filling my life with incredible friendships. I still make the occasional mistake, of course. But now I have the confidence to shrug off awkward moments without getting anxious. I cracked the code, in other words. And I wrote Improve Your Social Skills to teach you everything that I learned. If you can succeed at video games, you can succeed socially. That's the promise of Level Up Your Social Life. 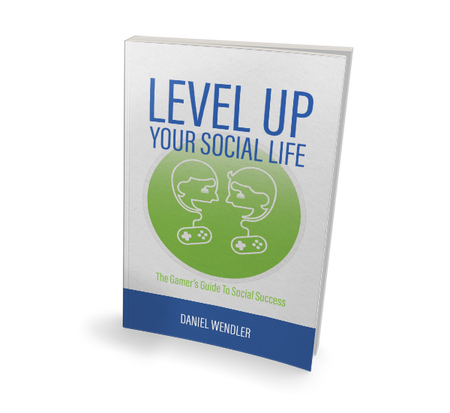 Level Up Your Social Life uses the video game concepts that you're already familiar with to teach you how to succeed socially. Want to be better at conversation? Pong holds the secret. Want to make more friends? Mario Kart can show you how. It's written by Daniel Wendler (that's me! 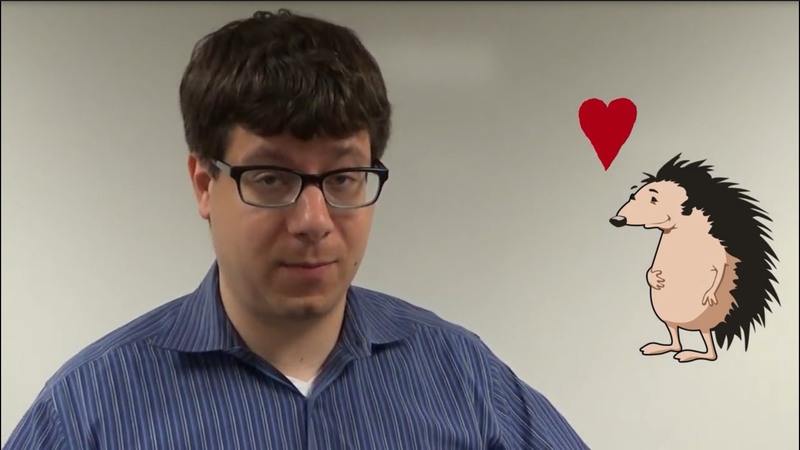 ), a leading social skills expert and lifelong gamer. I taught myself social skills to overcome the challenges of Asperger's Syndrome, and became an author to share what I learned with the world. I've coached hundreds of people around the world in social skills, spoken at TEDx, and written an online social skills guide read by over a million people. I wrote Level Up Your Social Life to help gamers everywhere make new friends, feel more confident, and have the best social life possible. If you want a guide to social success written by someone that gets what it's like to be a gamer, this is your book. 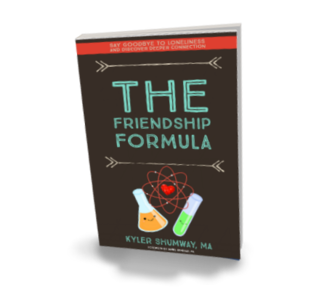 Written by my best friend (and soon-to-be clinical psychologist) Kyler Shumway, The Friendship Formula is a profoundly wise book. Kyler uses his training in clinical psychology, as well as his own insight and brilliant ability to explain complex topics in a simple way, to guide readers through the principles that will help you build new friendships or deepen the friendships you already have. I've never had a friend quite like Kyler, and when you pick up this book, you'll discover why. If you want deeper, more satisfying friendships, you want The Friendship Formula. Grab a copy today! Finding the right guidebook is essential before you go on a journey. If you want to hike a mountain, you'd better make sure your map won't send you off track. If you want to visit a foreign city, you need a guidebook that has up-to-date information. And when you want to start improving your social skills, you need advice from people that know what they're talking about. That's why I've compiled a list of my favorite social skills books. They cover everything from body language to conflict management to the psychology of change, and they are packed with advice that is both practical and inspirational. Whatever your social goals are, you can find a book that will help. 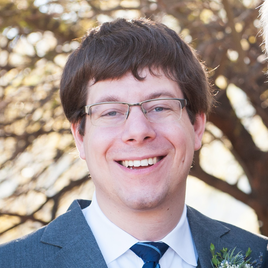 When I first launched the site in 2012, I used a membership model. I made a lot of my content free (as I do now), and then invited people to support the site by becoming members, which would allow them access to additional content. Members could access 100% of the content from the Improve Your Social Skills book on the website. 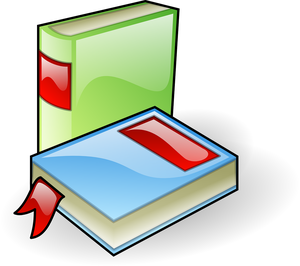 Over time, I realized that it was much simpler to simply provide my materials on Amazon - that way people could still read them even if they were offline. However, membership is still available if you would prefer to read the Improve Your Social Skills guide that way. (For instance, some of my international readers tell me Amazon is not available in their country). Membership is priced the same as the Kindle version of my book, although you can pay more if you'd like to support the site. In addition, if you purchased a membership previously you can still access it. I also offer a free "pay it forward" membership. I want as many people as possible to benefit from my writing, so if you can't afford a copy of the Improve Your Social Skills book, you can grab a free membership and read the materials on my site. The only rule is that you have to commit to doing a good deed for someone else 🙂 Learn about the pay it forward membership by clicking here. Since I've been focused on creating exciting new content, some of the membership pages contain outdated information, and the process of accessing your membership materials are a little clunky. Bear with me - I'll fix it up as soon as I get the chance, and I might even add a few new bonuses to make membership more exciting. You don't have to go it alone. I've coached hundreds of clients and helped them become more confident, boost their social abilities, and build a satisfying circle of friends. Every week, I personally write you a game plan for the week ahead. I lay out tasks that will help you make progress towards your social goals, teach you strategies that will help you overcome obstacles, and give you the encouragement you need to push past your anxiety and hesitation. If you're ready to transform your social life, I'm ready to help. Let's work together!